If you are not 100% satisfied with your order for any reason, please let us know. One of our customer service representatives will review your account and provide the best possible solution for you. Thank you for choosing Printastic to produce your custom prints - our goal is to ensure that you are always completely satisfied with our quality products. If you believe your print job is defective or has not otherwise met your expectations, please contact Printastic within 3 business days of receiving your order. If you do not contact us within this time frame we will assume that your job was satisfactory upon receipt and will be under no obligation to provide a refund or reprint. Contact Printastic.com to resolve any issues regarding unused merchandise within 3 days of recieving your order. Printastic produces only the designs and layouts you request - we do not alter customer designs to suit our references, nor do we proof read customer text. The content of your custom printed products is your sole responsibility. Printastic provides an “As-Is” service and your designs will be produced exactly as submitted. Customer complaints regarding any of the above listed concerns will not be eligible for any refunds or reprints. If a complaint regarding any of the above listed items cannot be resolved in a timely manner, you are welcome to return your products to Printastic.com - at your own expense - for evaluation. This in no way guarantees a forthcoming refund or positive resolution. Printastic.com is responsible for any unused products that arrive damaged or feature any obvious printing defects and will offer you a complete replacement. Printastic.com reserves the right to request photographs of the damaged, unused merchandise and may request the return of any products that are presented for a replacement or refund. Replacement products are shipped by the same shipping service used on the original order at no cost to the customer. If a replacement item is not a suitable solution for you, we will promptly refund the cost of your product and any shipping & handling fees charged to your credit card or other original method of payment. Your refund will be credited to your account based upon your card issuer’s policies. During the checkout process, each customer is presented with their individual delivery estimate information. The delivery estimate provides a window of several days in which the product will arrive. 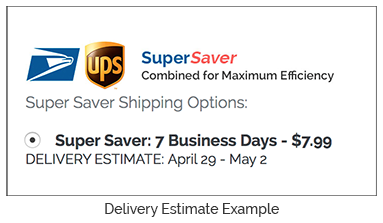 The delivery estimate is presented before completing an order. By completing the order, you accept the estimated delivery date range and agree to the shipment terms. If a customer order arrives after the estimated delivery date range - rendering the product(s) useless or unwanted - the unused products can be returned to Printastic.com for a full refund if you contact Printastic within 3 days of receipt. Printastic will provide a shipping label for the return. Printastic.com is not responsible to provide refunds or reprints for products that have been used. Any failures or damages caused by harsh hanging conditions, severe weather, faulty installation, improper care, misuse or overuse are the sole responsibility of the customer.